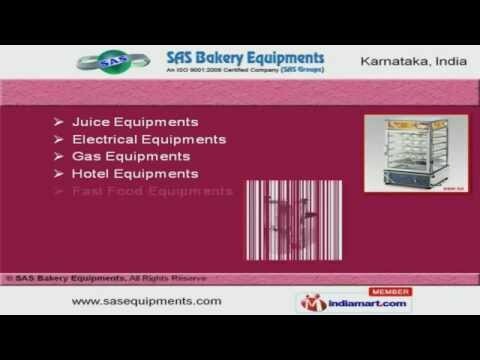 Welcome to SAS Bakery Equipments. Manufacturer and Exporter of Commercial Kitchen Equipment. We are an ISO 9001:2008 certified company, established in 1991 at Bengaluru. We export to Middle East, South East and Indian Subcontinent. Rigorous quality control, Flexible payment modes and Market leading prices are the plus points of our organization. We offer a wide assortment of Bakery Machinery, Ice Cream and Meat Slicing Machines. Our Baking Ovens, Juice and Electrical Equipments are superior in performance. We offer Beverage Chillers, Water Coolers and Purifiers that are best in the industry amongst others. We are specialized in manufacturing Bar and Medical Refrigeration Products. Stainless Steel Open Burners and Gas Griddles offered by us are class apart. Along with that we offer Spiral Mixers, Insect Killers and Cold Rooms that are widely acclaimed in the market.